An area of emphasis and expertise within our lab is satellite ocean remote sensing. We are engaged in research projects involving spaceborne ocean color, salinity, sea surface temperature, sea level and wind & wave measurements. OPAL scientists belong to numerous NASA and international space agency science teams. Recent emphasis has been on air-sea interactions, multi- and hyperspectral visible imaging, and on new capabilities for coastal ocean remote sensing made possible using the passive microwave salinity measurements in combination with ocean color data. 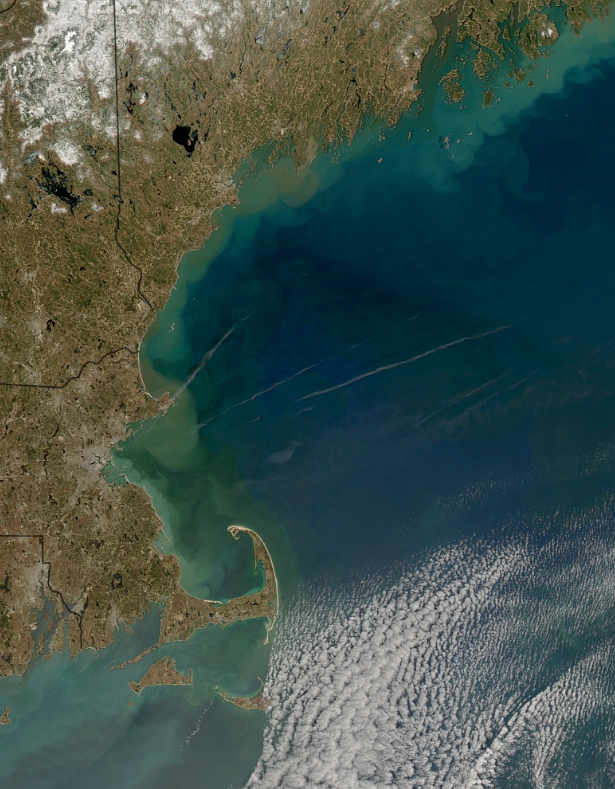 "Use of the Martha's Vineyard Coastal Observatory (MVCO) to assess ocean color products in North East coastal waters", NASA Ocean Biology and Biogeochemistry, 2006-2008, Co-Is: J. Morrison, H.Feng, H.Sosik/WHOI, B. Arnone/NRL.